Seeking Drywall & Plaster Repair in Chattanooga? 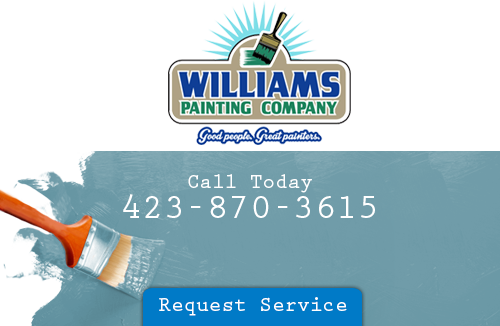 When you need to locate a Chattanooga drywall & plaster repair specialist, just turn to Williams Painting Company. We focus on your walls to ensure that they are without imperfection. Go with our service and your home will be in good hands. For over 20 years, we have been the trusted ones within the community. Call us today and see. There are many reasons why you should use drywall in the home. When you decide to either remodel your home or put an addition on, you have lots of choices. You can pick out paint colors that match up with the rest of your home or you can choose which types of building materials to use. Walls are permanent so you’ll want the very best. It’s always good to consider all your options before picking out a material for your walls. After all, you do have to live with the decision that you make. You can always go with drywall as it is a favored material type. Drywall is a lot more stable than plaster. It’s not as durable, but it’s a lot sturdier. This is due to drywall being thinner and jointed. This also makes it a lot easier to dent and put holes in to the drywall, so go with the Chattanooga drywall & plaster repair service from Williams Painting Service. There are also a lot of positive sides to plaster. Plaster is a stronger material that’s not easily damaged. Plaster walls hold up a lot better than drywall. Lots of homeowners battle between drywall and plaster due to their different, but redeeming qualities. Gypsum plaster is one of the most common type of wall. Plaster was once the most common and only type of wall materials. You may consider plaster to be a wall type found only in older and historical homes, but it’s still widely used in homes today. Most homeowners go with plaster as it’s a lot more durable and resistant to dents and holes. You won’t find yourself putting a lot of money out in repairs. It doesn’t matter if your walls are made from plaster or drywall, we can take care of them through our repairs. 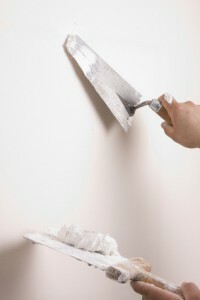 Repairing plaster walls is tricky because the damaged part of the wall needs to be cut and scrapped out. If the damages are to severe, then you might just have to replace the whole wall unit. That’s one of the main differences between drywall and plaster. If you’re adding on to your home or just remodeling it, then you can go with whatever wall type that you prefer. We’re there to help when your walls start to fall apart. If you have a damaged wall that you need repaired, then contact us. Your Chattanooga drywall & plaster repair service is just waiting for you at Williams Painting Service. For decades now, we’ve been the ones to rely on to getting your home to look its best again. If you are looking for a Chattanooga drywall & plaster repair contractor, please call 423-870-3615 or complete our online request form.